Rig-Talk • View topic - Show your rigs! Post subject: Re: Show your rigs! Exactly! You only live once, and if you can make your dream rig a reality, DO IT!! I'm still working on mine, but it's pretty much been complete for a few years now. It has been entirely worth it!! Hindsight being 20/20, the discoveries made along the way, were/are SO valuable and another cool facet of the fun to be had-- on the ride. Actually, I was wondering that, too... what Rivera is that?? Cool! I've got an old Rivera Knucklehead 55. It doesn't see a lot of use lately, but I do like it. And yeah, the clean channel is really good. Always wanted one of the old Knucklehead 100s with 3 channels, or the rack version. Not sure how yours stacks up against mine (pretty sure they redesigned the preamp several times since mine was made), but I know what you mean. Not the easiest to dial in. Kinda picky about guitars and cabs, too. But when it's happy, it sounds pretty damn nice. Pretty much what you said. The thing about the preamp is just by itself it doesn't sound all that great for what I like to play. But it sounds really good with most boost/od pedals. 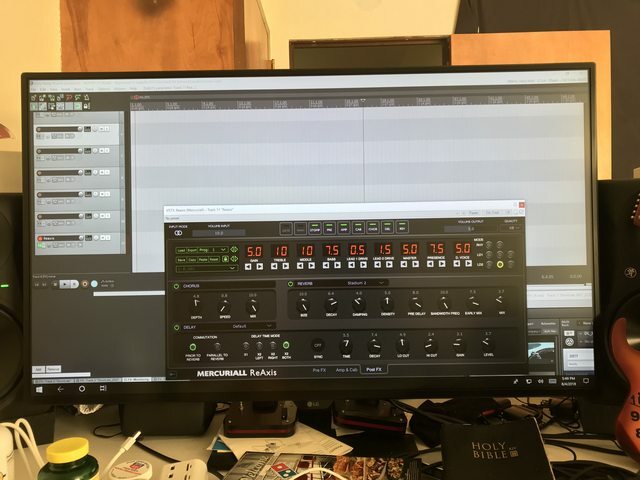 For the life of me though, I have a hard time capturing a good tone when used direct with my suhr reactive load + IRs + daw. Also it sounds its best when cranked up for sure. Not the best amp for an apartment lol. The original two-channel Knucklehead basically is a clean channel and a JCM800 channel, the (short-lived) Knucklehead II had a hotter lead channel, and the Knucklehead Reverb went to three channels with a more modern lead and the return of the original JCM800 channel. The K-Tre is an even heavier version of the Reverb and doesn´t have that middle crunch channel. Essentially every version has had a lead channel that was more modern and aggressive than the one before. The rack-mounted TBR amps are quite different. There are three different versions with different lead channels; the Standard basically is a bassman/plexi, the M is a sort of cascaded Fender sound (like a ODS or Boogie Mark or the modded Fenders that Rivera made for the session guys earlier) and the SL is a screaming 80s-style hot rod Marshall that is way hotter than the K55 middle channel but voiced a lot more old school than the Knucklehead II, Reverb or Tre. I'd love to find one of those old TBR rack-mounted amps. Not sure how closely they're related to the Fender versions released when Paul worked for them, but I would imagine that each was an updated version. All of them seem to be pretty rare, though, or at least I've only seen a few for sale the handful of times I've actually looked. My K55 is a two-channel non-reverb version from (I think) 2002. I bought it new from Fazio's in STL. It does have my favorite knob of all time... the Master on channel two (the clean channel) has a "Pull Ninja" function... I keep expecting black robed creatures with swords to drop from the ceiling every time I get up the nerve to use that switch!! Hot JCM800 is about right, about as much gain as the channel switchers (2205, 2210). It's a fun little amp, but I really don't use it much. Thanks for the info!! I know a little bit about Paul's history with Fender, but very little about Rivera (the company). Didn't he work for Randall Smith at one point, too? I´m not sure Fender ever actually released anything resembling the TBR series, even if there were a few prototypes made that might be floating around somewhere. They did have a rackmounted version of the Super 60 around that time, though, which might be what you´re thinking about. But that´s a very different animal. I had a standard TBR for many years and I´ve played the SLs a bunch of times. Very cool amps, that clean channel is bar none the best I´ve ever tried and the amount of features is staggering considering when it was made. These were very expensive, and I guess not that many went out the door compared to the M series or the later Knuckleheads. I´m not sure Paul ever worked for Randall Smith, but they were both around the same LA scene, modding amps and building gadgets in the early 70s and might have worked at the same place or something like that. Everyone from that era seems to have worked at the Valley Arts shop at some point, for example. 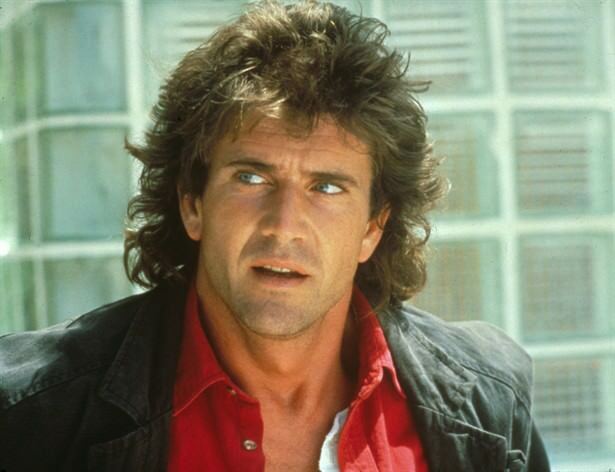 This is my absolute favorite Riggs. Classic and timeless. Based on old catalogs, Fender offered the RGP-1 pre-amp along with the RPW-1 power amp around 1983. I remember seeing one for sale 5-10 years ago, but it could have been a prototype. Based on the lack of info on Google, you're probably right that it didn't make it out of the prototype stage. Anyway, this would have been the same time Paul Rivera was working for CBS Fender. Paul talks about the Fender version around the 1:34 mark. Location: Santa Clarita , Ca. Update... 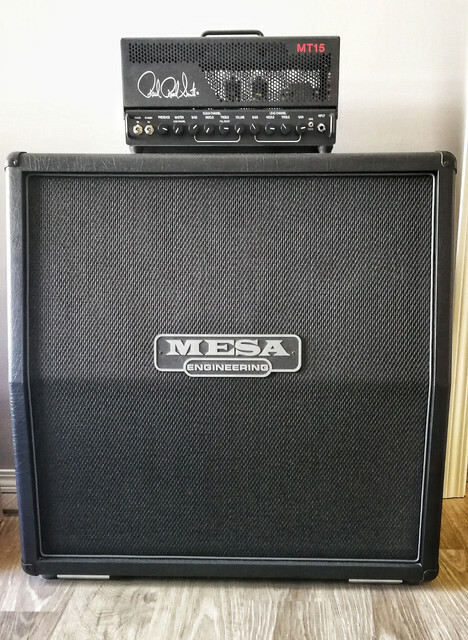 I replaced the Egnater Tourmaster 2X12 with this MESA 2X12 rectifier cabinet. The ENGL pairs much better with the MESA in my opinion. As raw and in your face as it gets! insider tip: Run channel volumes over 12 'o clock and adjust Master to room/taste. It will sound less buzzy/distortion pedal-like, and becomes phatter and meatier sounding. I do the same thing with my Invader btw. Engl's master volumes work quite well. That was a Nacho Baños heavy relic replica. He's the guy that wrote The Blackguard Book- he builds, too. 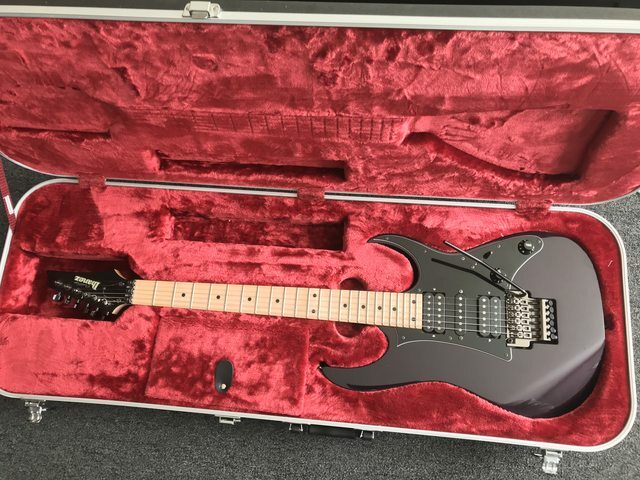 It was an alright guitar. 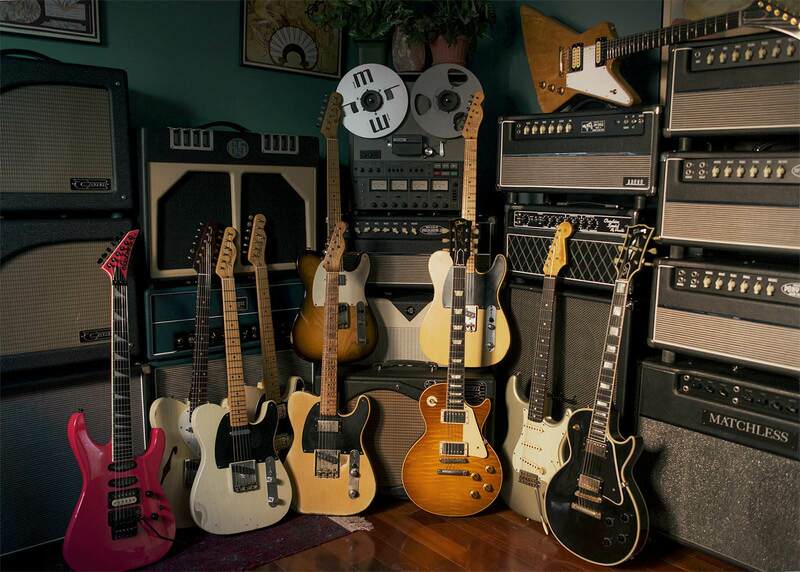 My number one, which smokes absolutely everything in the picture and any other guitar I've ever owned or played, is the one to the left of that guitar; my 2006 custom shop Nocaster. Nothing has ever come close to that thing. Might not look like much, but it smokes everything. Well, better late than never... Here's a good chunk of my stuff. 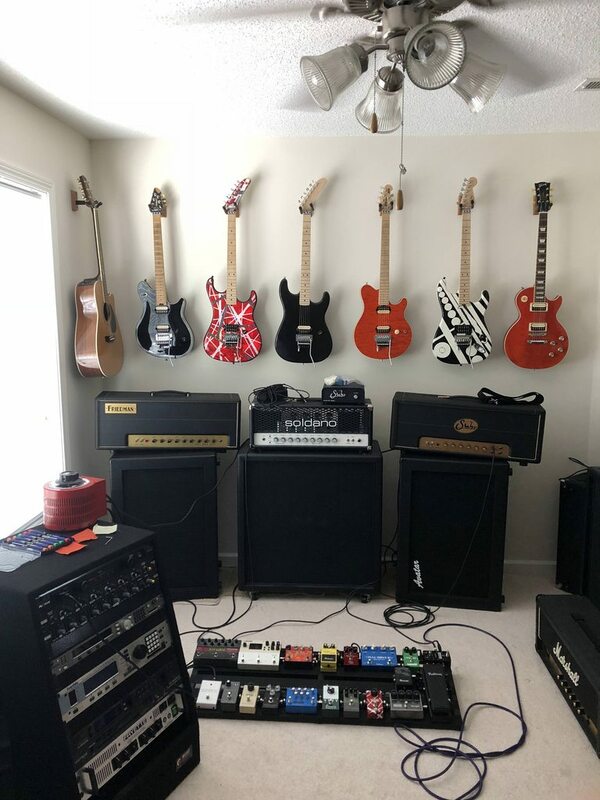 My rig could range from a combo amp to a wall of Marshalls. I didn't include any of my pedalboards, any of my combos, or any of my guitars, and I've got 5 more cabs floating around here somewhere. Maybe I'll dig some of those out tomorrow. Anyway, sorry the pictures aren't that great, but you should be able to get the general idea. And at the other end of the spectrum from ChurchHill (so much awesomeness in those pics! ), my w/d/w rig for MSLR is growing...lol. 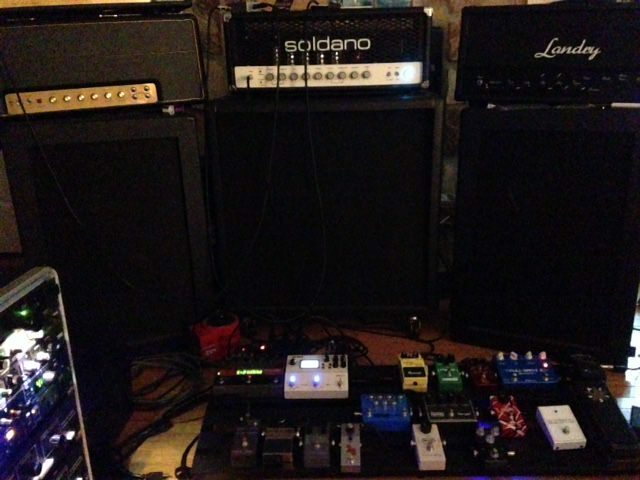 All my cabs and most heads in storage right now, so this is the current big rig. Only 1 head at a time. My God man. Now THAT'S some gear! Anytime the wife complains about my gear, I'm just gonna refer her to your collection. LOL! Thanks, guys!! Yeah, I finally joined in 2017, but had been lurking for years, HRI, too. Some of this stuff has been with me for years. I still love it as much as the day I started playing! I wouldn't call that the other end of the spectrum... size, maybe, but awesomeness? No way! Damn nice rig!! 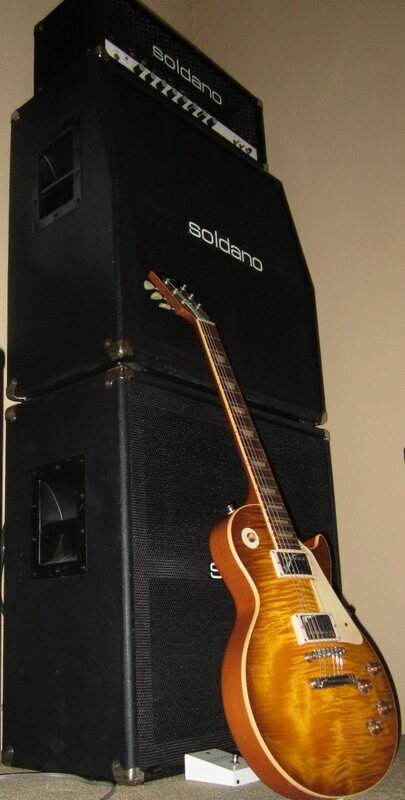 Imagine a small room with a beat up 5150 halfstack (block letters, modded by following an old post here) and a Marshall JVM410H (Gower Modded) with Marshall 1960 cab, standing side by side; with a Digitech GSP1101 placed on top of the Marshall and a Music Man Luke 3 in Olive Gold Metallic sitting next to the stacks on a stand. Incredible gear in this thread, which is why I came to this forum in the first place. I've thinned the herd quite a bit in my room. I've got a few more pieces to sell/move, but this is all I want to have at the end of it and just keep it simple from now on. Glad to see another Tre owner. Oh my, that is some nice gear! OK, about that get-together you mentioned. 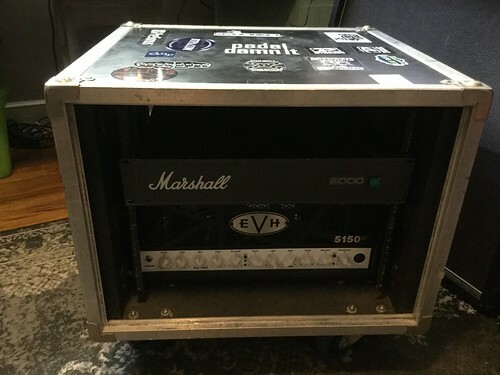 I saw your posts on the preamps+power amps and thought you had a lot of gear. That wasn't even scratching the surface! It is pretty damn awesome I could just never do that. and a Peavey 5150 2x12 combo with a few pedals here and there. 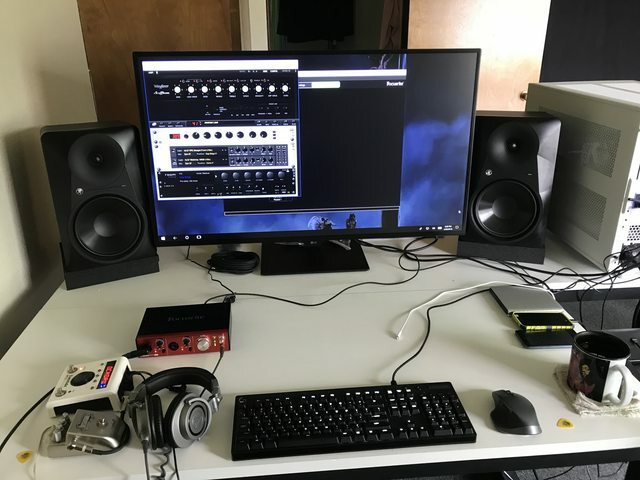 I am planning to get some small recording setup once my basement is finished and may get an AX8 or probably a Kemper or something. Nothing wrong with that! 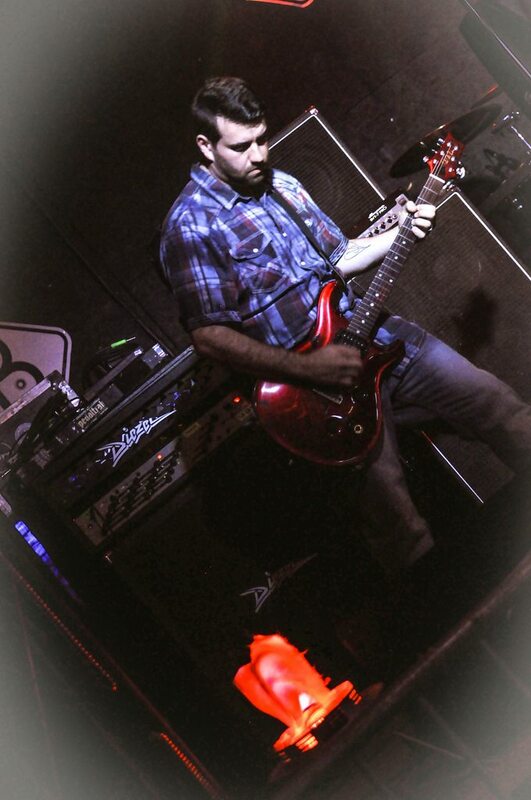 An SLO and a Les Paul is an awesome place to be! 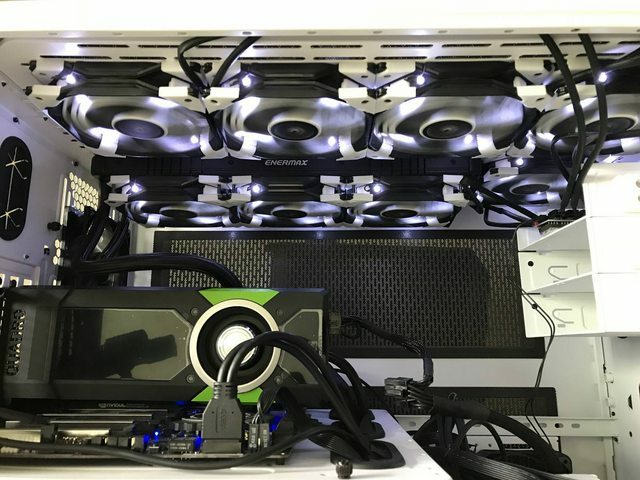 These three pics cover the bulk of my rigs. I basically have two different W/D/W rigs going on and too many damn amps. LOL. Step 1 is to try not to think about it too much. Damn right! Block it out! Never face it! I'll be picking up a small pedal board soon. Also, although I'm happy with my little CR60C with a TS pushing it... this thread makes me want a half stack again. *Correction.. This thread makes me want a full stack. You all have some nice stuff. I am up there, i will put some photos up soon. Zach's been dethroned as the refrigerator rack king. My god dude. Do you have any clips of this running? LOL! Nah... Zach's still the king. This is actually several racks, just stacked together. The one on the left is my "huge" rack. The one on the bottom right is my "small" rack. The one on the top right is my recording rack. The four in the middle, I use like normal heads and just swap out which ever I feel like playing. I usually use the 395 to run the wet cabs. Unfortunately, at the moment, I don't have any clips because I'm still working on getting all this wired back together. 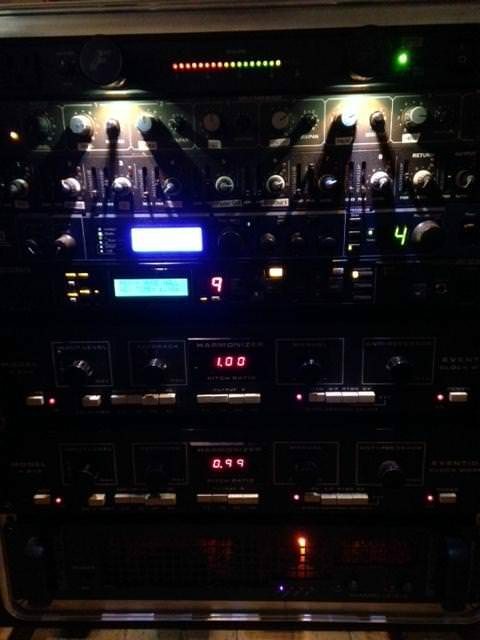 I added the 3 TC units to the big rack and moved the Eclipse and PCM92 to the small rack a few months ago. I'd probably be in a bigger hurry to complete it, but I've really been enjoying just plugging straight into my Herbert lately. 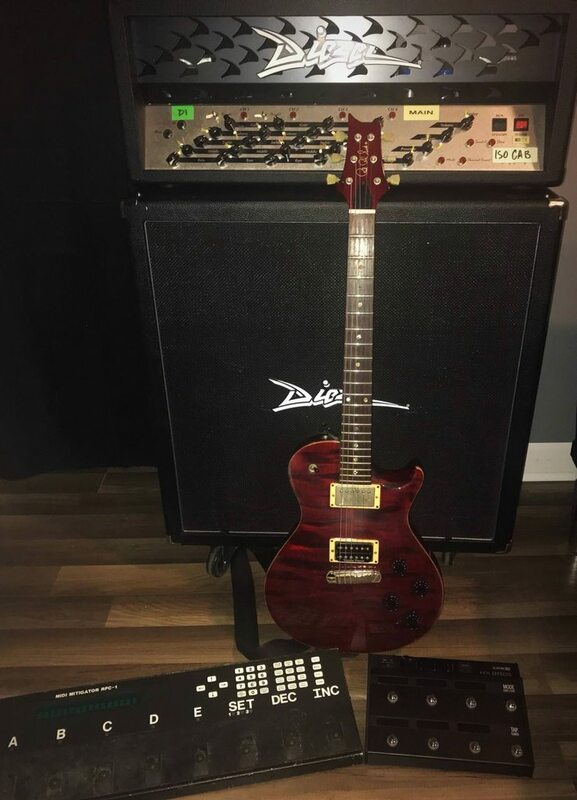 I picked up a Les Paul Custom from Wizard of Ozz about a month ago and have been spending a lot of time with it. Anyway, once I get it back in operation, I'll put some clips together and post them. I'm planning on taking a week or so off work next month, so it shouldn't be too long. And yeah, Zach's still the king!! I learned so much from him (and lots of others) over the years, both here and on HRI. Couldn't have done it without a lot of help! Edit: While I'm at it, I learned a lot from Italo, too, and our own psychodave, especially for the recommendation of the TC2240. For all of the help and inspiration from all of you, and many others, I am eternally grateful. 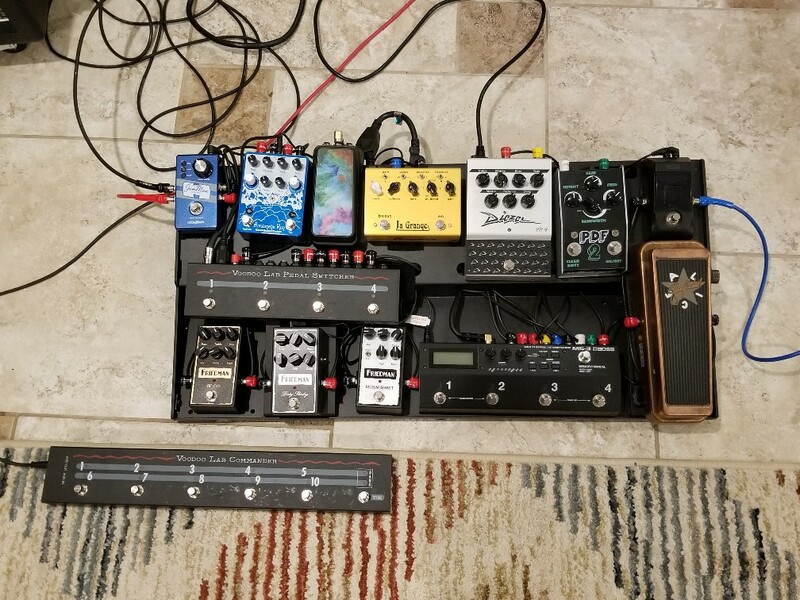 Got the Line 6 HX effects and did away with my messy board. Minimalist Signature . . . Simple cheap and effective w/d/w rig. Something like this at the moment. Pedals rotate in and out. LP's and Charvel's for guitars currently.